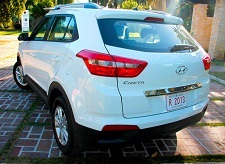 Looking for a reliable and professional car rental hire for your Antiguan explorations for an affordable price? Try Oakland Rent-A-Car and Taxi Services. We provide a wide range of vehicles at a competitive pricing to suit all your needs. We also provide airport transfers, tours and taxi services. We are located at the airport for your pick-up on arrival and we also deliver directly to your hotel, private villa or anywhere else around the island at no extra cost. We simply offer the best car rental and taxi service in Antigua. Long term rental can be arranged at special price. * Customers are liable for up to US$1,000.00 for collision damage or any loss of vehicle. Antigua is a beautiful island that deserves to be explored, so for the best car rental or taxi service, call or email us! Call OAKLAND today for unlimited mileage!